A true one-of-a-kind property that is for sale for the first time since it&apos;s custom build. 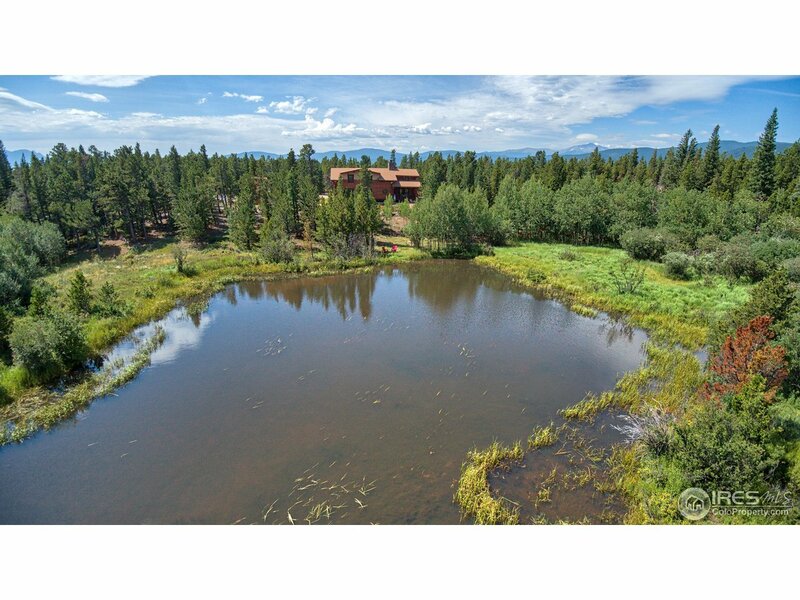 A magnificent log architected home on a stunning 21+ acre oasis boasting an 8 acre-feet private lake with deeded water rights, lush meadows and bordered by National Forest. This single family home offers 5 bedrooms + 3 bathrooms with approx. 4200 square feet of living space. Easily commute to Boulder and the Front Range in 30 minutes and reach downtown Nederland in only 8 minutes. Welcome Home!